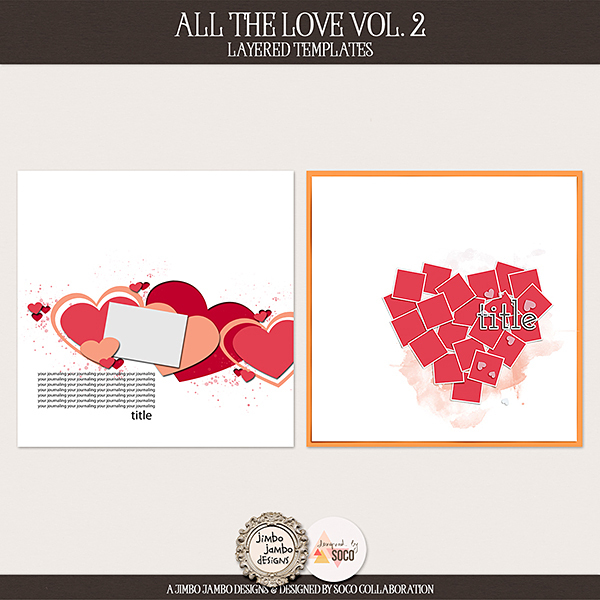 The 1st one is the 2nd part of my collab with Designed by Soco called All the love vol.2 (if you want to see All the love vol.1 please click here). If you are a subsriber of the newsletter please check your mailbox as I sent you a special coupon code for this pack. 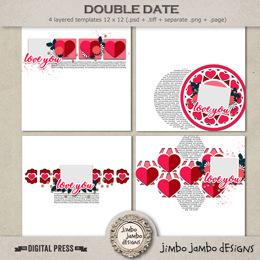 Have a great week and be sure to check the blog on Wednesday as there will be a special sale of some of the templates packs.